Want to live in a DC neighborhood that’s older than DC itself? 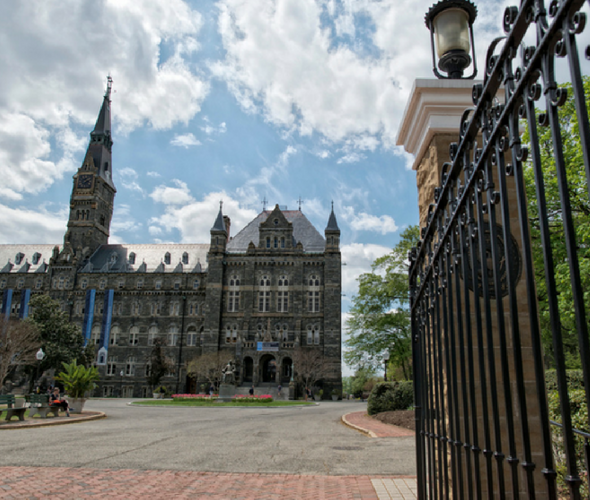 Georgetown is home to gorgeous architecture, a thriving commercial district, and a major university. The boutiques, bars, and restaurants here are always filled with residents and tourists alike. Washington DC may have been established in July of 1790, but Georgetown dates to 1751, when the Potomac River neighborhood was home a sprinkling of houses, shops, a tavern, and a ferry landing. From the start, the area flourished as a tobacco port town and shipping center; the first buildings constructed here were related to the industry. Today, little remains of colonial Georgetown except for the street plan that is oriented towards the harbor. In 1791, Georgetown joined the 10-square mile federal District of Columbia and over the course of the next decade prospered from shipping and real estate. While banks, taverns, hotels, and other commercial buildings were clustered on along M Street, large mansions and smaller housing began to appear above the harbor. By 1814, Georgetown had evolved into a fully-envisioned town. Throughout the 1800s, Georgetown continued to grow. Today, 175 buildings within the neighborhood’s historic district date to this period. But it was during the first half of the 1900s that Georgetown became the community it is today. Residential construction included row houses, flats, and apartment houses, with several large Victorian houses constructed in the late 1800s converted into flats. The years between 1920 and 1941 saw rapid growth in Georgetown apartment building construction. Today, Georgetown is home to over 500 retail businesses, many of them located in historic buildings. The pedestrian-friendly neighborhood boasts lovely brick sidewalks, abundant benches perfect for taking a rest or people watching, and decorative lamp posts sporting hanging flower baskets. Residential streets lie north of downtown. 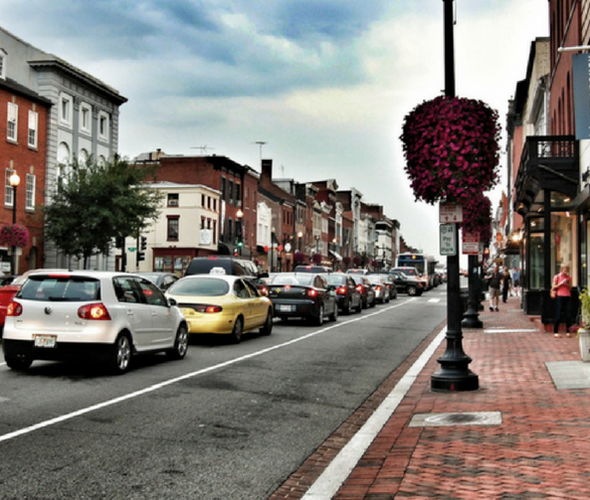 With so many things to do and see in Georgetown, it’s best to check out the Georgetown Metropolitan, a wonderful source for finding out what’s going on in the neighborhood. 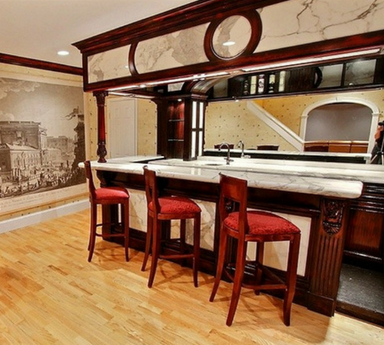 Winthorpe Design & Build is a DC area home remodeling firm based in Highland, MD. For nearly 30 years we’ve been designing and remodeling kitchens, bathrooms and more for homeowners throughout Washington DC, Maryland, and the surrounding areas. Our full-service specialties include home additions, basement remodels, condo renovations, architectural design services, and investment property analysis. Whatever home remodeling project you have in mind for your Friendship Heights home, we’ll help you design and build the space you dream of. Our years of experience are reflected in the many home improvement projects we’ve done throughout the Washington DC metro area. Kitchens have really evolved since Georgetown was founded in the mid-1700s! They’re no longer a lonely space where mom cooks alone as the family waits in another room. Today, couples and families prepare meals together, kids gather around the table to play games or do homework, and friends come to sit awhile at the island bar sipping coffee or wine while conversing with the chefs. Whether you enjoy a contemporary, open floor plan or a more traditional design, we’re here to design and build a new kitchen we know you’ll enjoy for years to come. With nearly 30 years of kitchen remodeling experience in the Washington DC metro area, we have a long list of happy customers to prove it! Today’s most popular kitchen style is an open, uncluttered layout that has ample storage and offers both beauty and functionality. While every kitchen we design takes into consideration modern conveniences, we’re never influenced by fads. 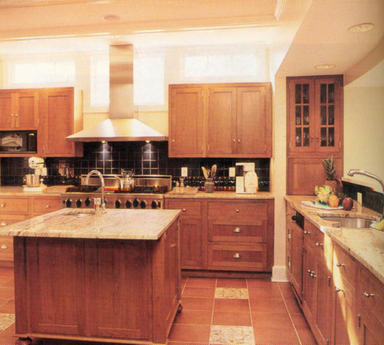 We have just one goal in mind during your remodeling project: that you love your new kitchen! What is the ideal kitchen? That depends on who you’re asking! In our view, it’s the one that best suits your family’s unique needs and lifestyle. That’s why our remodeling process starts with us learning how you define your dream kitchen. Working together, we then help you design and build that kitchen, making the process as enjoyable as possible while delivering your new space on time and on budget. Space planning. Do you want to expand the existing footprint, provide more cooking and prep space, maximize storage, or reconfigure the space for better traffic flow? Layout optimization. Placement of key appliances, work surfaces, and lighting all influence your final design. Selections. Cabinetry, fixtures, finishes, appliances, and more. We have a wide range of options in our showroom, ensuring you get the look you want at the price you have in mind. Less than enthused about your home’s outdated bathrooms? We can help! We’re a family-owned remodeling firm with nearly 30 years of experience in the Washington DC metro area. We’re confident we can turn any bathroom in your home into a beautiful space your entire family will appreciate and enjoy. 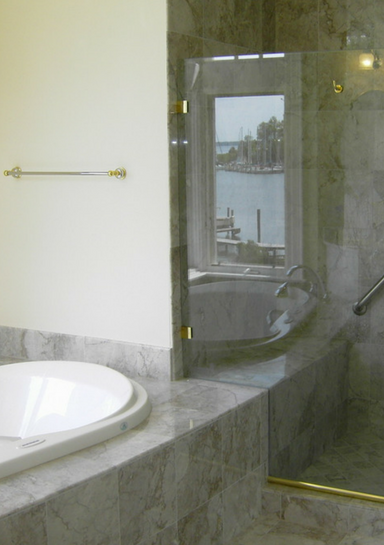 A bathroom update can be an extensive project. From big jobs like moving plumbing to ensuring the smallest design elements are perfect, our attention to detail is where we shine. 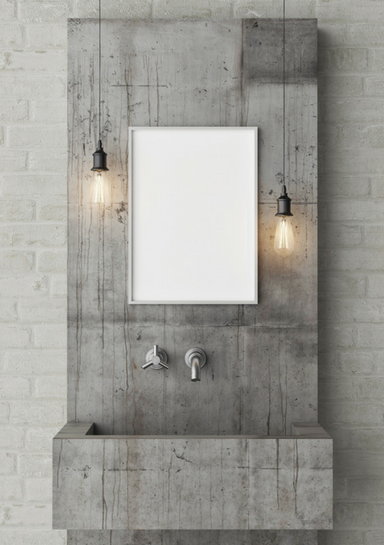 What type of bathroom remodel do you have in mind? Are you tired of that 1960s or 1980s look? Do you want to build a beautiful master suite? Maybe the kids could use a new bathroom to call their own. We’ll help you sort through the wide variety of available options and help you design the perfect bathroom for your family’s needs. At Winthorpe, we’ve earned the trust of hundreds of homeowners by providing them with bathroom design ideas that truly meet their needs. Our design and construction teams expertly manage your bathroom renovation, providing you with a bathroom remodeling experience that is enjoyable – and a finished room that will enhance your Georgetown home for years to come! Remodeling an outdated bathroom can add considerable value to your home and increase the entire family’s personal enjoyment. With all the time that’s spent in one of the busiest rooms in the home, why wouldn’t you want a bathroom remodel that you can enjoy today and for a lifetime? Looking for up-to-the-minute ideas for your new kitchen, bathroom, or home addition? 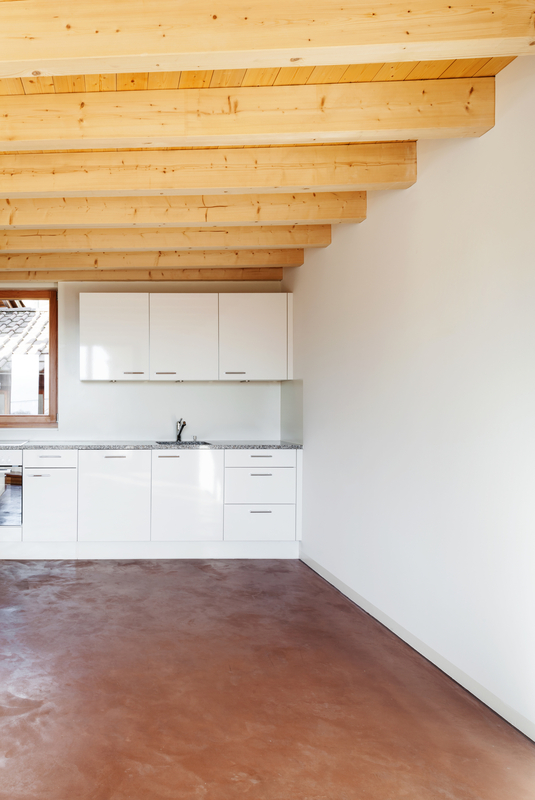 Visit our Houzz featured projects page to explore the possibilities! Winthorpe Design & Build is a family-owned business with nearly 30 years of experience in the Washington DC metro area. We believe that strong relationships are the foundation of every project we do – and they’re what we consider to be our greatest accomplishment. We’re happy to say that the people we meet as remodeling clients become a part of our family, too! If you’re a homeowner in Georgetown, DC or the surrounding Washington DC metro area interested in a kitchen, bathroom, or other home remodeling project, we invite you to contact us. Together we’ll explore a world of exciting remodeling options that will give you the home you’ve always dreamed of.